This is the Bittydesign "Black Hawk" Pre-Painted 1/10 Scale Short Course Truck Body. The Black Hawk body is one of the nicest looking short course bodies on the market, and now its available pre-painted - direct from Bittydesign! Featuring the striking Bitty "Star" paint scheme in Red color, this custom paint that will make your SC truck stand out in the pack of one-color wonders, and cookie cutter RTR bodies. 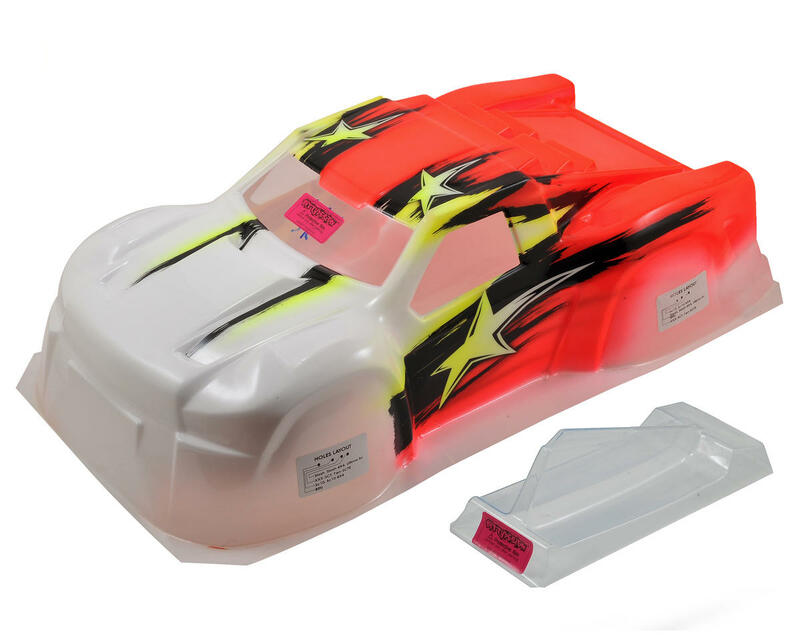 Molded from genuine 1mm thick Lexan, the Black Hawk features an aggressive appearance that is complimented by a large rear shark fin that can be installed to improve stability and feel in high speed turns and jumps. Additionally, there are multiple vent lines throughout the front and rear of the body that can be cut out to help reduce the dreaded parachute effect. 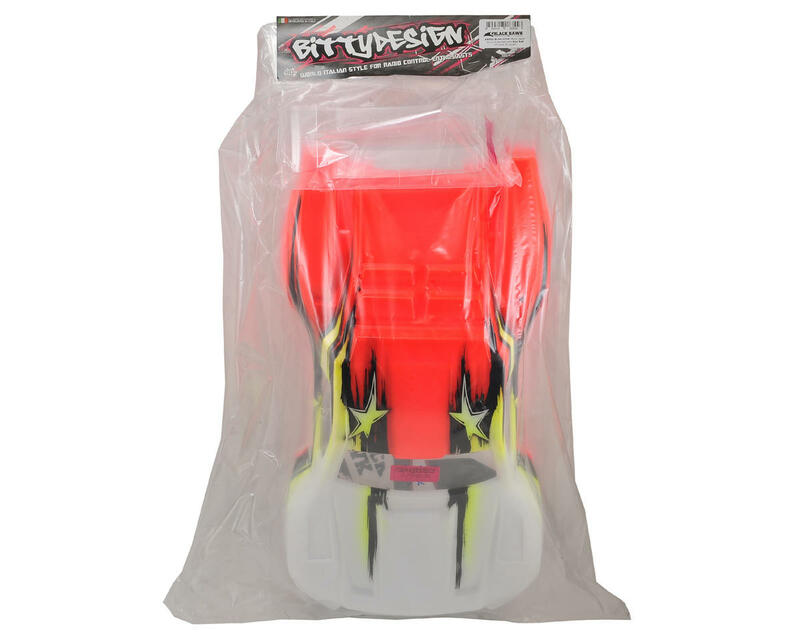 The package includes a large decal sheet and protective film, as well as the hardware needed to attach the fin and side number plates.